The Teaching with Technology Conference offers four half-day preconference workshops. The cost is $205 for each workshop. Enrollment is offered during conference registration. If you have already registered for the conference, call 800-433-0499 to enroll. Formative assessment is a research-based teaching strategy that increases student achievement and the development of metacognitionan important 21st-century learning skill. This session provides practice using digital tools that support the use of formative assessment. While digital tools by themselves are not formative assessment, they can make it easier for teachers and learners to engage in frequent formative assessment (Beatty & Gerace, 2009). Gain experience using free online technology tools like backchannels, student response systems, and infographics/concept maps. Learn practical applications that can be readily implemented. Please bring your own device. What if your online classes were designed to welcome and engage students from day one? What if you could create an active community of learners where students felt noticed and the instructor felt real? What if you could streamline the work within your online classroom so that you could reach more students more often and more meaningfully without adding to your workload? In this workshop, discover tools to create an online course that appeals to todays learners, and learn strategies to improve the aesthetics and layout of the online classroom. 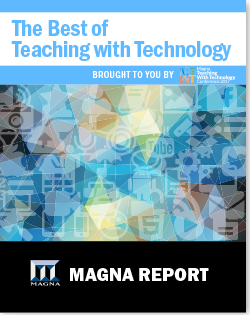 Explore examples of how to manage large online classrooms, from announcements to assessments to feedback, and learn how to share the responsibility for classroom interactions with your students to create a lively learning environment that promotes student involvement. Whether you are just beginning to create an online course or are revamping an existing course, this session equips you with the tools to get and keep students online and learning. How can we leverage technology to automate routine, administrative tasks within the online classroom to alleviate pressure and focus your efforts on teaching and authentic interactions with students? How can we make sure students feel connected to a real, live person throughout the course, especially for our struggling students or during times of peak tension? Student engagement is a hot topic. It has been shown to lead to better grades, class retention, and course completion, yet many of us are trapped in the lecture/PowerPoint model. In this session, I demonstrate countless ways to engage your studentsboth with and without technology. Leave with concrete tips and tools to try in class on Monday morning and some new mojo to keep yourself engaged as well!